When people ask me where I am living now-a-days I typically respond with "I am temporarily indefinitely in Sebring (my hometown in Central Florida) … for 2 1/2 years now." Kind of an oxymoron, I know. I had no idea and no plan for my stay in the heart of the state to be this long. But God knows what He is doing. I don't doubt that. One of the incredible perks of having been around these parts for the past two years is that I have been able to be a daily part of one pretty awesome little guy's life. It has been amazing to watch this boy grow from a prayer in a momma's heart, to a reality and today into an incredibly bright and energetic little guy that melts my heart on a daily basis. And today he turns two. 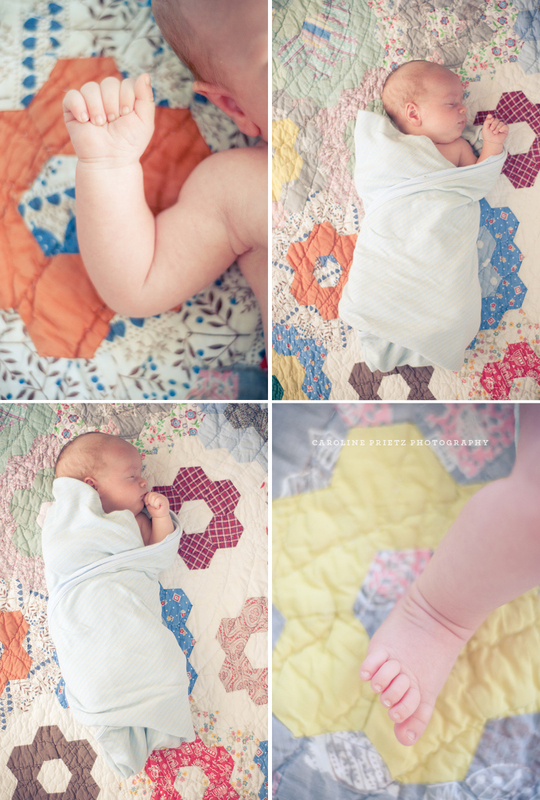 In honor of his birth I thought I would share with you all a backpost from his semi-newborn session two years ago along with the story of how this little fella arrived first in our hearts and then in this world. Just this past Sunday in church I stood belting out Matt Redman's "Blessed be Your Name," falling into rhythm in the standard "church worship sway." You know, the one that says I would be dancing if I didn't think I'd be tackled in the aisle by someone with a walker and a Southern Baptist disposition. Plus my arms were full with the weight of a baby boy I quickly stole from cousin as she made her way to the seat beside me in the row. And then we hit the "breakout" part of the song, "You give and take away. You give and take away. But my heart will choose to say, Lord blessed be your name." And my thoughts went back to a little shy of one year ago when I sat at the top of a hill overlooking the city of La Misión, Mexico with my cousin, Bianca. We were in La Misión on a missions trip with Be2Live and about 40 other folks from Bible Fellowship Church. We did service projects throughout the town during the day and at night we retired to our campsite just up the hill from Door of Faith Orphanage to have dinner and sit around a fire reflecting on the day. Each night our pastor, Todd, would randomly call on people to share their testimony and throughout the course of the week we heard stories of heartache, conflict and God's undeniable redeeming mercy and love. This had Bianca and I shaking in our boots. We both happened to be right in the middle of testimony building experiences and didn't quite know how to talk about it... without crying in front of 40 people, that is, (a concept I was much more comfortable with than Bianca.) So we made our way up the the top of the hill to discuss this dilemma one afternoon. Bianca was struggling with the fact that she was even there on the trip. She had signed up thinking that she was going to be pregnant by the time the trip rolled around and would have to gracefully bow out. She thought, for sure, God would do that for her after everything she had been through. Not that she didn't want to be involved in missions and that she wasn't completely excited about work we were doing in Mexico but her heart's desire was for another child. And being on this trip meant that desire hadn't been fulfilled. Just a year and a half earlier she and her husband and son were preparing for a world with two more youngsters. She had found out she was pregnant with twins before losing them just at the end of the first trimester. I can't even begin to imagine what this feels like. My heart goes out to any woman out there who has lost a child. Watching my cousin deal with the pain the loss of not one but two lives broke my heart. And on the hill top a year and a half later Bianca was still struggling with being able to say "Lord, blessed be your name." It was a continued daily struggle when they had gone another year and a half since the loss without a baby. She knew she had to let it go. She knew this couldn't be "the thing" that stood between her and God for the rest of her life. She knew she must give up her idea and plan for her life and learn to accept a far better, yet mysterious, one that she didn't seem to understand. How do you talk about that in front of 40 people around a fire? But somehow she did, beautifully, honestly and without crying (might I add). And it was there on that trip that Bianca, from the darkness, could honestly sing, "my heart will choose to say, Lord blessed be your name." Fast forward to one month shy of a year down the road. I am swaying and singing in the church pew holding a precious three month old baby boy that belongs to, you guessed it, Bianca. And for those of you doing the math in your head right now, you guessed it again, Sawyer was with us in Mexico on that hill top and around that fire. We just didn't know it yet.